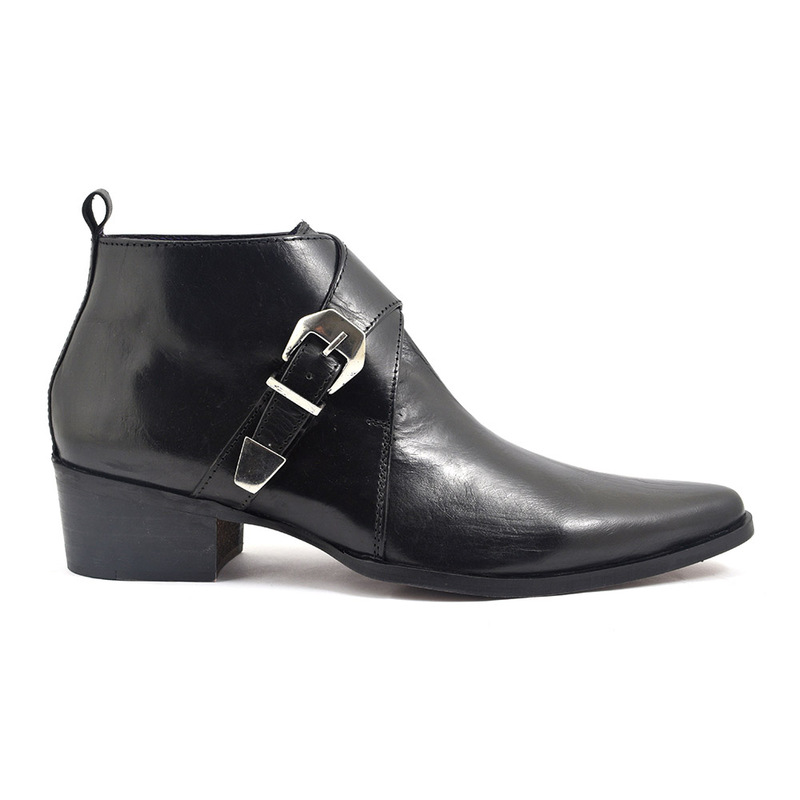 A black cuban heeled boot with a 4.5 mm heel. The silver buckle gives an edge and the pointed toe is sleek. 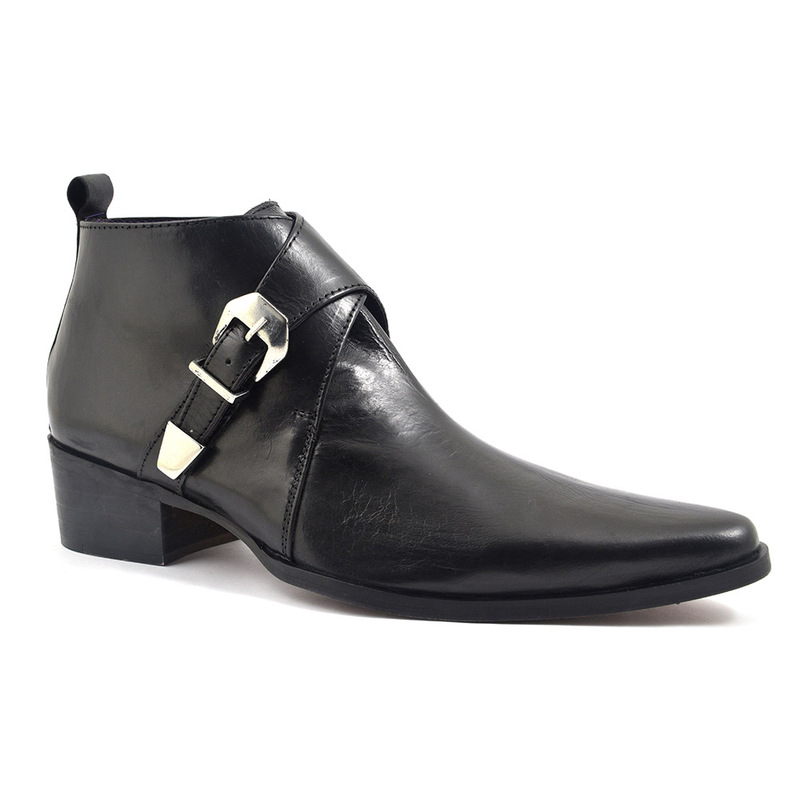 A black pointed cuban heel boot which has a sharp cool about it. You can see this with a dark grey suit. In fact, Mr Gucinari himself rocked this look in the 60s..take a peek here. What a stylish dude eh! If you want an even more decadent look, then get a skinny skinny pair of jeans and a plain T. Chuck a leather biker jacket and you will have a rock and roll feel. 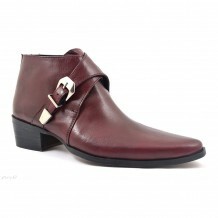 Its that silver buckle which really propels this cuban heel boot. The heel is a decent 4.5mm and is block cuban. 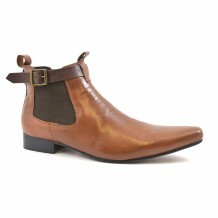 Of course, as the name suggests, these types of shoes originate from Latino culture and are super cool for men to wear. Quick fact: men wore heels in the 9th century. 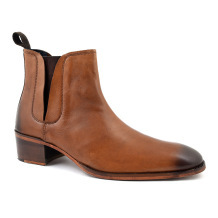 Now, we always start by suggesting you spray your black pointed cuban heel boot with a leather protector and keep them in shape by inserting a shoe tree. It may be tricky to find ones that fit but even if you stuff paper that holds the shape. It also absorbs moisture. You can polish these but maybe cover the buckle in a non sticky tape to avoid any contamination. Enjoy! 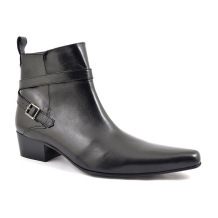 Be the first to review “Pere Black Pointed Buckle Heel Boot” Click here to cancel reply.